In less than five years of its operation, CJSC «String technologies» has developed and produced nine models of the rolling stock designed to perform a wide variety of functions. 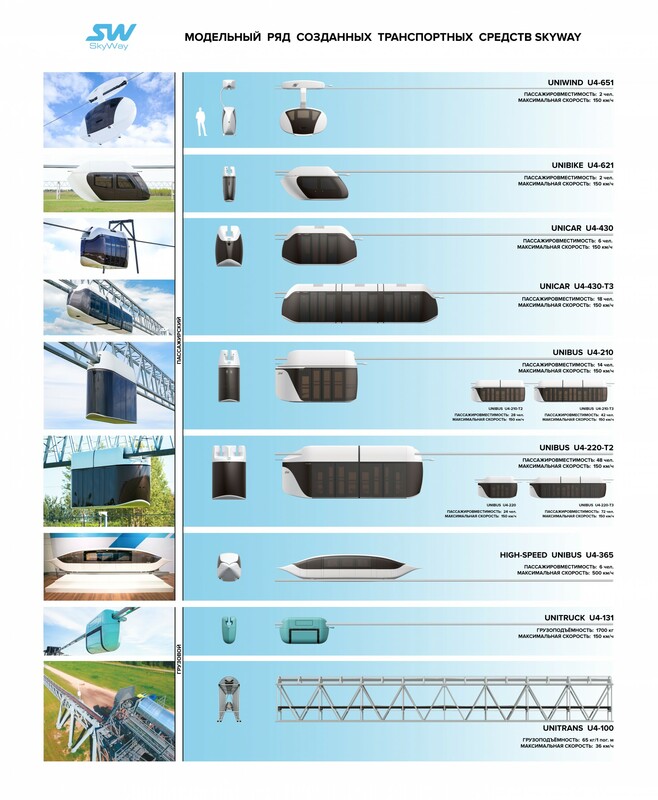 At the moment, there are seven passenger and two cargo vehicles in the SkyWay model range. Some of the created models have already been modified. For example, the Unicar was redesigned for the harsh environments of the Middle East: so this modification is called Unicar U4-431-01, or «Unicar-T». It can be considered the tenth vehicle of the SkyWay model range. Five absolutely new vehicles are in development, and soon the model range will be added, both in cargo and in the passenger segment.